Colin Haylock MBE (57), will be in South Africa in mid February 2003 to run a highly specialised course in medical prosthetics, aimed primarily at technicians. His transport and accommodation is being funded by Entific, an implants company. He will be able to assist some burned children if appropriate cases are brought to Children of Fire's attention speedily. Those who need prosthetic ears, noses and eyes and some children with very raised facial scarring that is not yet more than two years old, are the most likely to be assisted. People who have previously had implants but now need new prosthesis, will also be considered. The courses will be attended by a small group of people, but for some aspects, it will be possible to watch in an adjacent room, and Ian Walters of Wits University TV and Video department is going to arrange to video part of the process, to help provide a longer-term educational resource. Colin lives in Kingston, Surrey, on the edge of London, in the United Kingdom. Born in August 1945, he started a dental technician apprenticeship in his mid teens, and qualified with City & Guilds in 1966. He worked first at Westminster Hospital Medical School and then at the London Hospital in 1968. Colin studied Advanced Maxillofacial Technology in 1969, moving on to Advanced General Technology in 1970 and Advanced Orthodontic Technology in 1973. At the same time he became a senior dental technician at Queen Mary's Hospital in Roehampton, and the senior maxillofacial technologist at the same institution. In 1974, he started work for the UK's Ministry of Overseas Development as Adviser in Maxillofacial Technology at the Institute of Dental Medicine, in Rangoon Burma. In 1976 he returned to take up a position as Chief Maxillofacial Prosthetist at Queen Mary's Hospital in Roehampton. Then he became Senior Chief Maxillofacial Prosthetist at West Middlesex University Hospital in 1995. In 1996 Colin accepted the position of Principal Chief Maxillofacial Prosthetist at the Centre for Oncular and Maxillofacial Prosthetics in London's Charing Cross Hospital in Fulham, where he continues to work. Colin also holds a variety of honorary positions, being appointed Principle Maxillofacial Prothetist at Chelsea & Westminster Hospital in 1999; a member of the International Curriculum Committee & Senior lecturer to the Mahidol University, Thailand, for the Post Graduate Maxillofacial Prosthetics Education Programme. Winston Churchill travelling fellowship for three months to the U.S.A. to study new techniques in orbital and facial prosthesis; 1982. Fellow of the Institute to Maxillofacial Technology. F.I.M.F.T. (by Research Thesis). Licentiate of the Orthodontic Technicians Association. L.O.T.A. Member of the American Society of Ocularists. Council Member the Institute of Maxillofacial Technology, 1976. Overseas Members Co-ordinator, 1985 to date. Part-time Lecturer (Maxillofacial Prosthetics), Lambeth College, London, 1996 to date. Co-ordinating IMPT Tutor for the 1 year full time Training programme in Maxillofacial Prosthetics and Technology, 1994 to date. 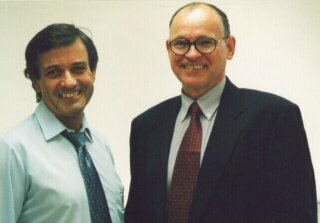 Advisory Board on Maxillofacial Technology Training Programmes, 1996 to date. Honoured by her Majesty the Queen for services to Maxillofacial Prosthetics and Technology: Member of the most excellent Order of the British Empire (MBE), 1998.